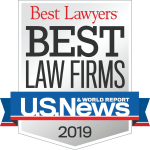 O’Hagan Meyer’s transportation attorneys defend motor carriers, trucking companies, bus companies, rental car companies and limousine services in a full range of personal injury, wrongful death, property damage, cargo and freight, business interruption and product liability claims. Members of our team have a depth of experience successfully representing local, regional and national clients in transportation matters in state and federal courts across the country. In addition, we provide counsel and risk management strategies to help our clients avoid claims before litigation arises. Our attorneys represent clients in matters throughout the United States, defending high-profile and high-exposure cases. We work closely with our clients to provide an early and ongoing assessment of the value and risk of the case and develop a litigation strategy that considers not only that particular case, but also the impact on the business as a whole.